July 2011. Brotherhood of The Wind/ Motorcycle Road Culture in America. A group of Scandinavians on Harleys riding historic Route 66 near Grand Canyon, Arizona. 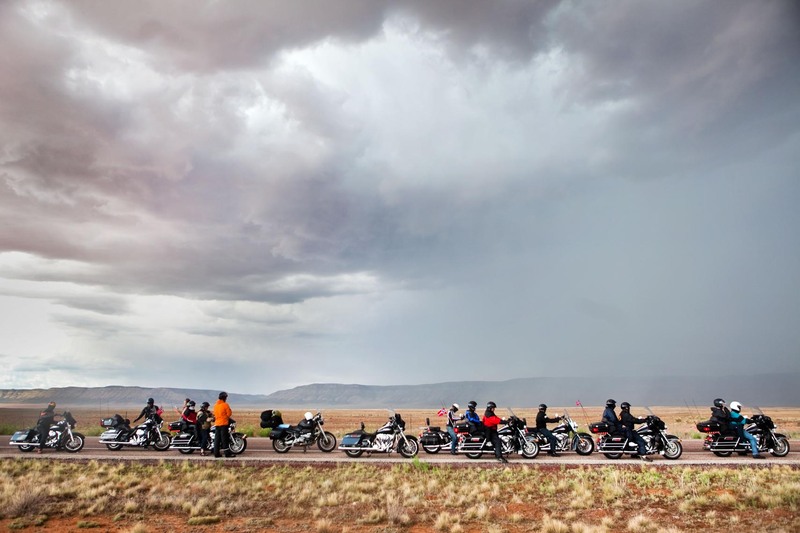 On a tour with Route 66 USA, a Norwegian company that guides tourists on rented Harley Davidsons across this 2400 mile “Main Street of America.” Piotr Redlinski for The New York Times.